I used to not like chocolate. I mean, if you put it in front of me, I wouldn’t not eat it, but I would never go out of my way to eat chocolate anything. I surely would never order or eat chocolate ice cream. It all started when I discovered dark chocolate and sea salt. The little Ghirardelli squares are my favorite. They are just sweet enough to get rid of my sugar craving and one little square is enough, I don’t need any more. But then, it made me realize that I have passed on a lot of other chocolate opportunities. What else have I missed out on because I thought that I wasn’t a chocolate person? Those little squares were my gateway chocolate. When we lived in California, we used to go to San Francisco and always would stop at Bi-Rite Creamery for a Sam’s Sundae. It sounds so weird, but it is so amazing. You have to trust me. 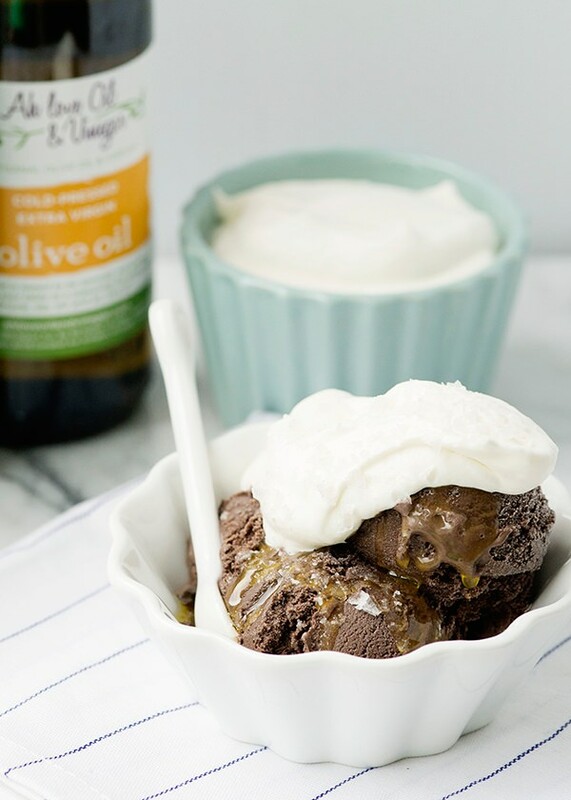 It is dark chocolate ice cream, drizzled with bergamot olive oil, sprinkled with sea salt, and a generous spoonful of whipped cream. It all works. Perfection. I can’t hop in the car anymore and satisfy my sundae craving, so I took matters into my own hands. I love making ice cream. It is so satisfying. This is the smoothest, creamiest, darkest chocolate ice cream ever. I used the recipe from Bi-Rite’s book, so it is about as close as close can get. I couldn’t get the actual olive oil that they use, so I went to a local olive oil shop and used blood orange. It was every bit as amazing as I remembered. 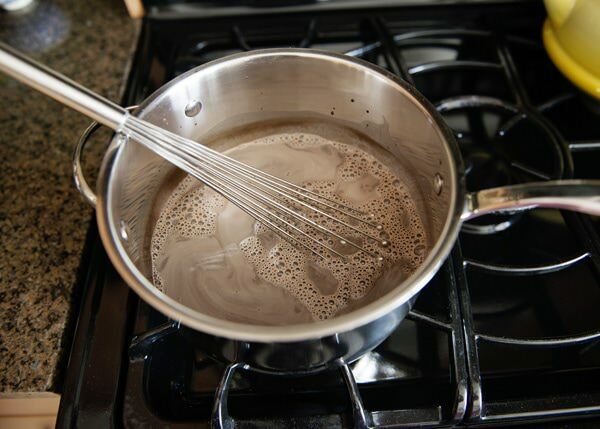 In a saucepan, whisk together cocoa powder and other 6 Tablespoons of sugar. 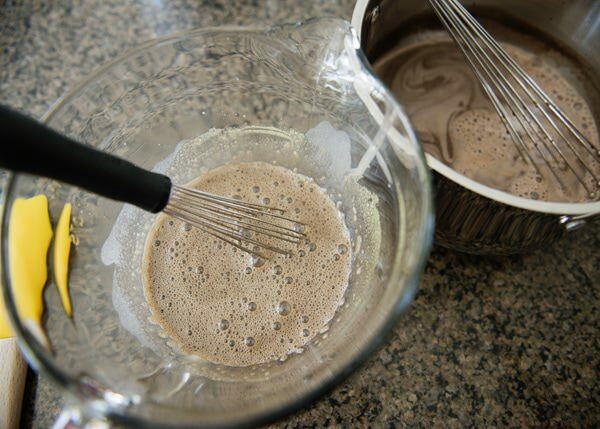 Whisk in 1/4 cup of the milk to make a thick paste. 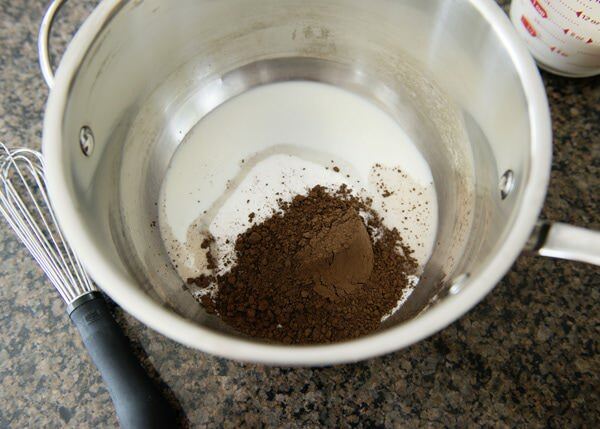 Whisk in remaining milk, cream, and salt. Heat over medium high heat, and remove when bubbles form around the edges. 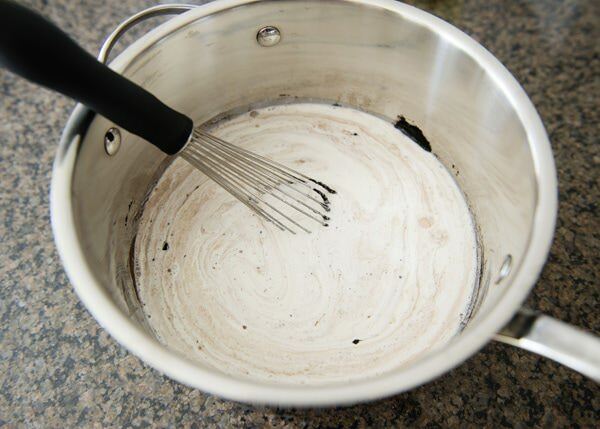 Remove from the heat, and whisk in 1/2 cup of the hot cream. 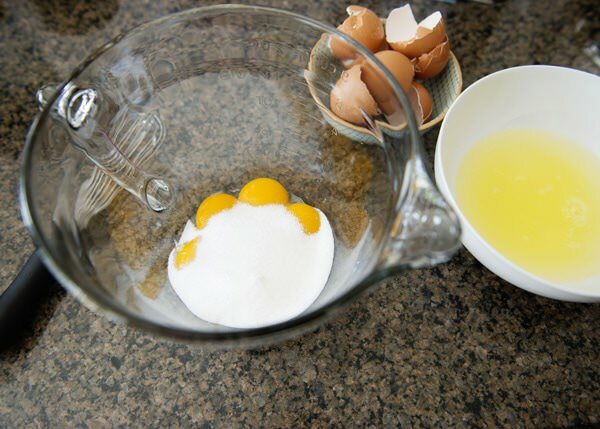 Whisk constantly, to avoid cooking the eggs. Add another 1/2 cup of the hot cream to temper the yolks. Pour the yolk mixture into the saucepan. 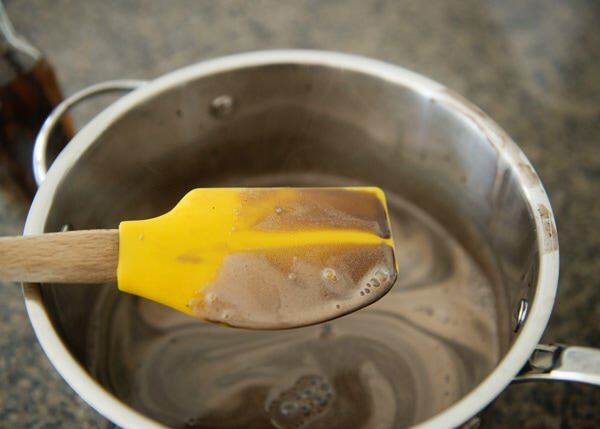 Cook over medium heat, stirring constantly until it coats the back of a spoon. You will be able to run your finger down the middle, and it will hold a clear path. Cook for 1 minute longer. Strain the base to catch any bits. Add vanilla. 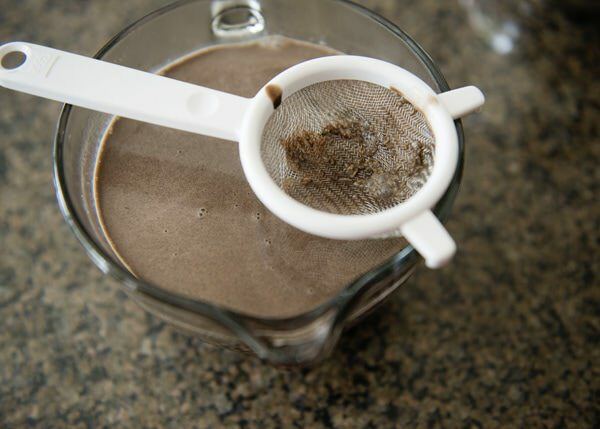 Pour into a container and place in an ice bath. Stir occasionally, and when it has cooled, covered with plastic wrap and chill for at least 2 hours or overnight. Freeze in your ice maker according to the manufacturer instructions. Transfer to a freezer-safe container to freeze until firm. To take it one step further – make a Sam’s Sundae. 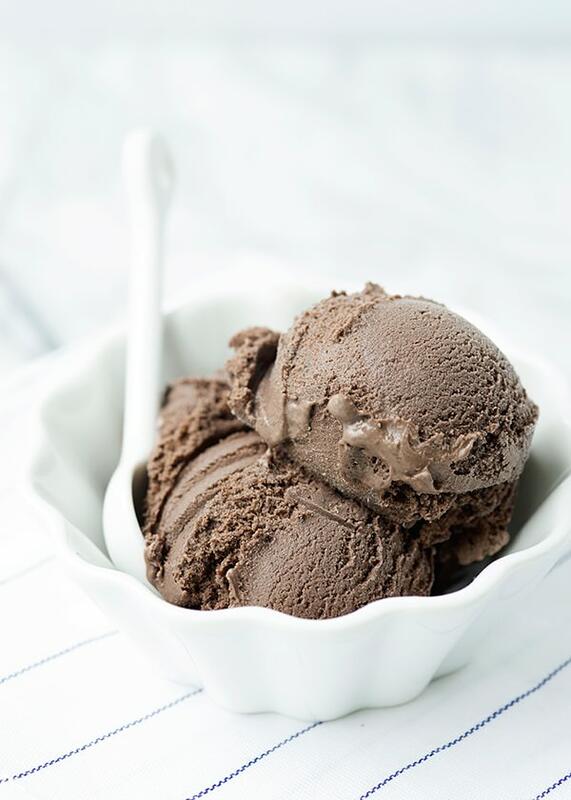 Add a few scoops of dark chocolate ice cream to a bowl. Add the olive oil, and sprinkle with salt. Top with freshly whipped cream. 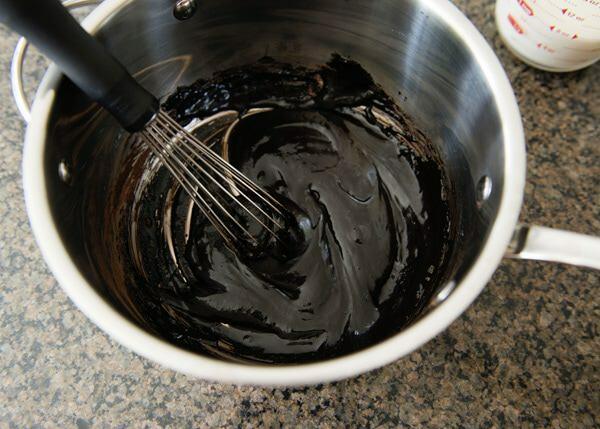 In a saucepan, whisk together cocoa powder and other 6 Tablespoons of sugar. 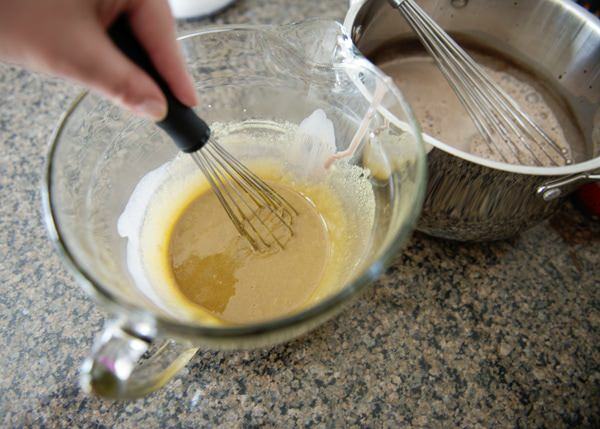 Whisk in 1/4 cup of the milk to make a thick paste. Freeze in your ice maker according to the manufacturer instructions. Transfer to a freezer-safe container to freeze until firm. 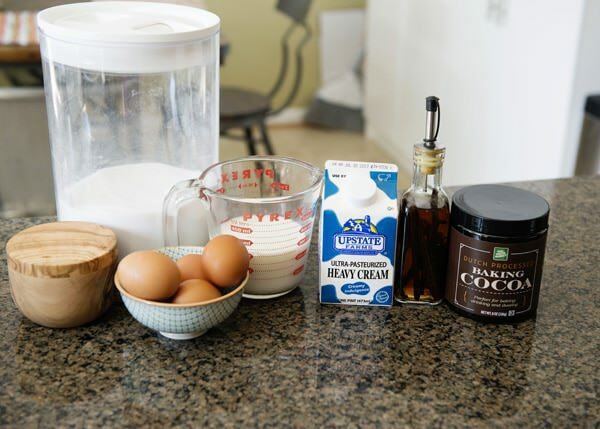 Complete newbie question… is it possible to craft this even without an ice cream maker? Not this one. 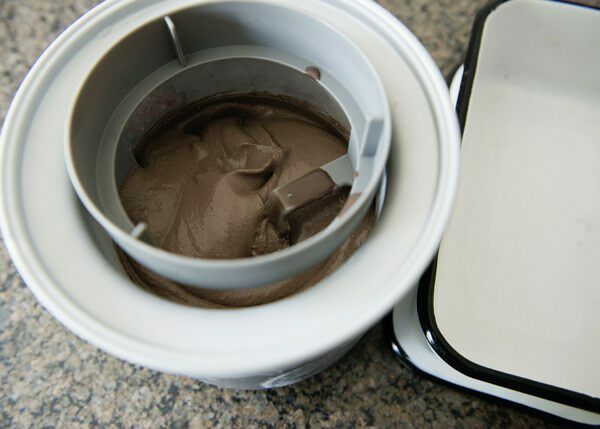 You need to churn it in an ice cream maker to get the air into it. 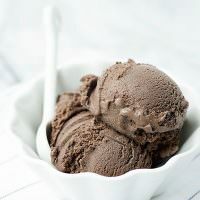 But you can make this one: https://bakedbree.wpengine.com/churn-coffee-ice-cream. 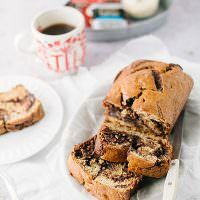 You can add some cocoa to make it chocolate. Oh my word I have to make that sundae, IMMEDIATELY. It looks amazing! This ice cream looks perfect Bree! I am dying for warm weather where I can eat this up!! Me. Too. Go away cold weather! The ice cream looks so good! I love chocolate and you could wake me at night for ice cream. Great combination! I am starting to feel the same way. Wow!! The ice cream alone looks amazing. 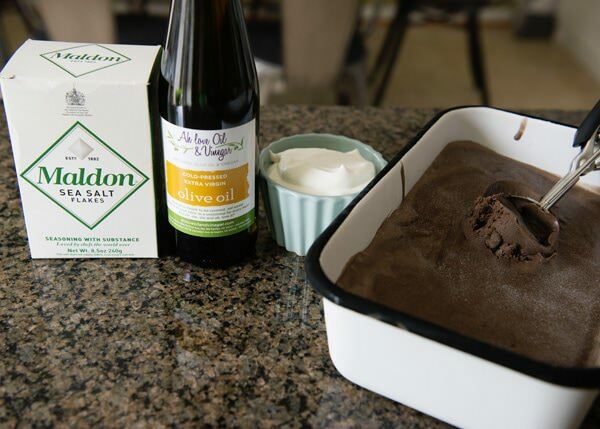 And that sundae…the bergamot olive oil….just whoa! 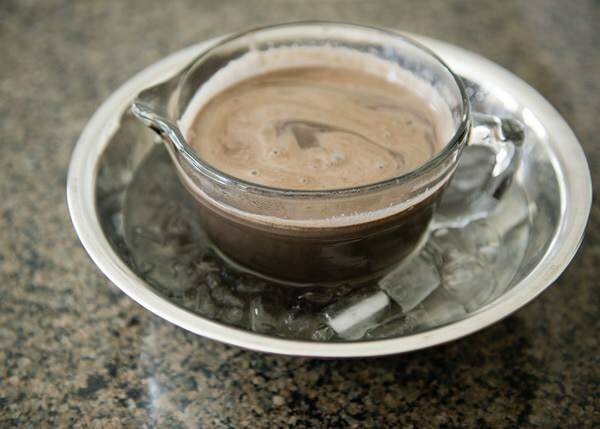 This chocolate ice cream is definitely one for the record books! It is whoa! I promise! This looks so amazingly wonderful! Wow! That is the ultimate compliment! I find it really challenging to prepare ice cream. I can never get the right consistence. I guess it is time for me to try again with this recipe. Once you get it, you get it. Sort of like caramel making. I love making ice cream. It is so satisfying. This sounds sooooooo good! Dark chocolate is by far the best. In ice cream form, it would be perfection.